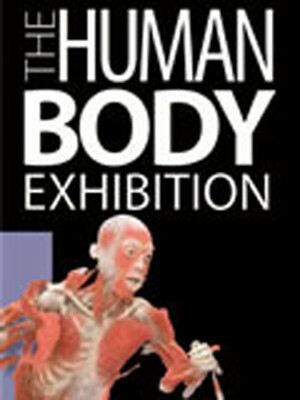 Why See The Human Body Exhibition? 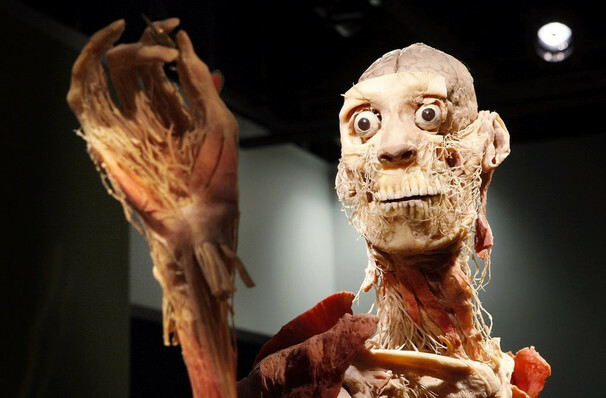 The Exhibition uses carefully dissected real human specimens called “Plastinates” to capture the beauty and science of the human body. Each specimen is posed in a familiar, non-threatening manner and illustrates the anatomy and physiology of a system , providing the visitor with an indispensible visual reference to the body’s form and function. Under our skins, a series of intricate systems and their related organs cooperate, second by second, to keep us alive and well. 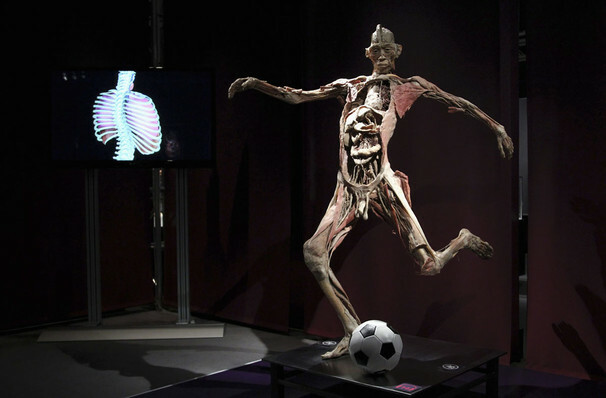 The Human Body Exhibition provides a three dimensional look deep inside those systems - skin to bones, head to toe - all with a focus on helping us make more informed decisions about healthcare and lifestyle. 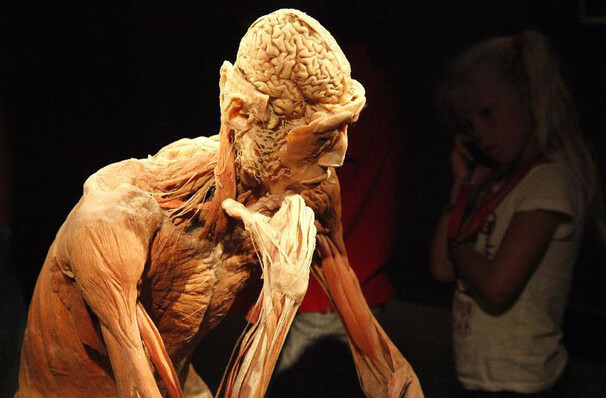 The Human Body Exhibition features over 200 full body and individual organs from each system of the body. Each of the nine galleries in The Human Body Exhibition focuses on a specific system of the body, starting with your Skeletal System, progressing through Muscular, Nervous, Circulatory, Digestive, Reproductive and Urinary, and ending with a look at the human body of the future. There is also an optional gallery highlighting the chronological development of embryos to fetuses. You move through the Exhibition on an unforgettable walking journey of your own body. We recommend that children under the age of 10 attend the Exhibition with a teacher or parent so that they can best understand what they are seeing and have their questions answered individually by someone they trust. Younger children are fascinated by their own bodies. They readily relate to the whole body specimens as they look intently for their own heart, their own stomach and their own muscles. Sound good to you? 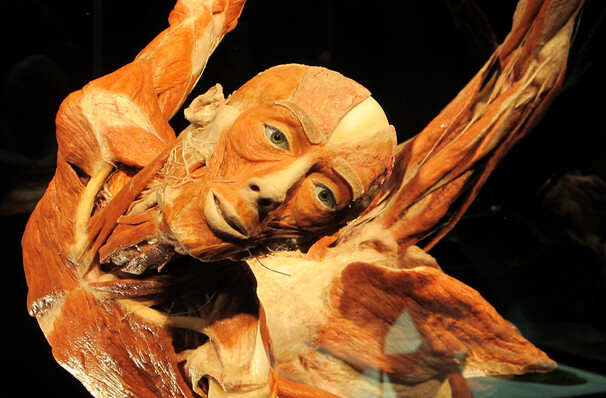 Share this page on social media and let your friends know about The Human Body Exhibition at . Please note: The term and/or The Human Body Exhibition as well as all associated graphics, logos, and/or other trademarks, tradenames or copyrights are the property of the and/or The Human Body Exhibition and are used herein for factual descriptive purposes only. We are in no way associated with or authorized by the and/or The Human Body Exhibition and neither that entity nor any of its affiliates have licensed or endorsed us to sell tickets, goods and or services in conjunction with their events.